Rounding up the first week of Windows 10 distribution I would like to share with you guys the oldest but still quite capable and extremely good looking unit we have on hand that had been able to make the jump into the bandwagon. 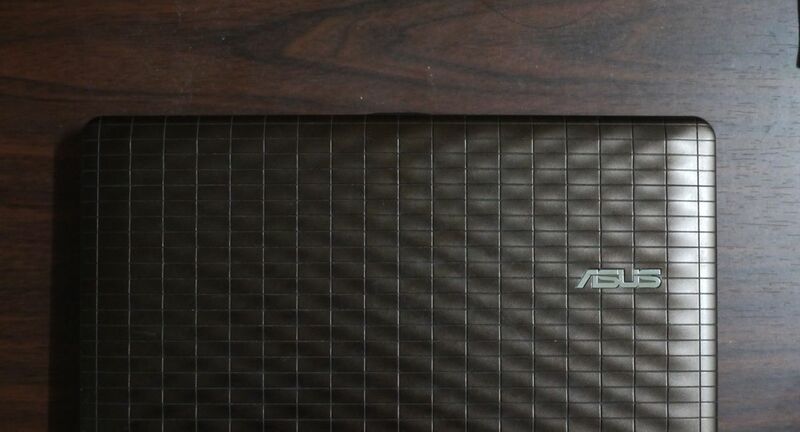 Launched in 2010, this five year old Asus product had been among the first ones to be carrying around a Windows 7 Starter as the bundled operating system. Back then it was one of the most restrictive Windows out because it withheld some core functionality like changing the desktop wallpaper which is one of the very first customizations an owner would apply to a PC. Fast forward to now, when all Windows 7 and 8/8.1 builds are considered for the upgrade, Windows 7 Starter systems instantly had elevated their value. Hence here we are! 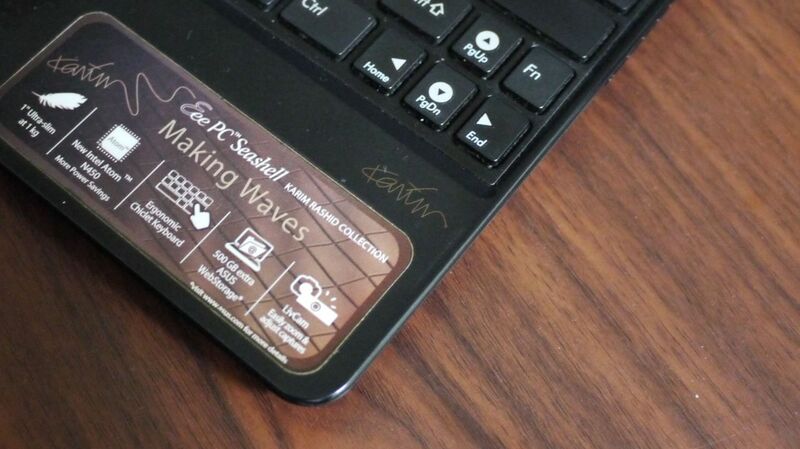 This derivative of the EeePC Seashell series (1008p) came in two colors and they share a waving pattern that is applied to the entire exterior of the device. Katsy had snagged one during her “gold/brown” phase (fashion thing) and this had been her working unit right until she got the Zenbook. It had been sitting on a shelf for the longest time because of overheating issues which I now evaluated to having been caused by a missed driver/program that managed power over the unit. It is now undergoing stress testing with the fantastically new Windows 10 Home. Jumping past two major OS updates (8/8.1) the unit is bound to encounter some issues on compatibility – especially since driver support for the device has stopped at Windows 7. There was this one annoying pop up that kept coming up right after the transition, one of the installations were putting out an alert for a missing component friom Asus (Hotkey Mapper) so I killed some startup services, restarted, and got rid of it. 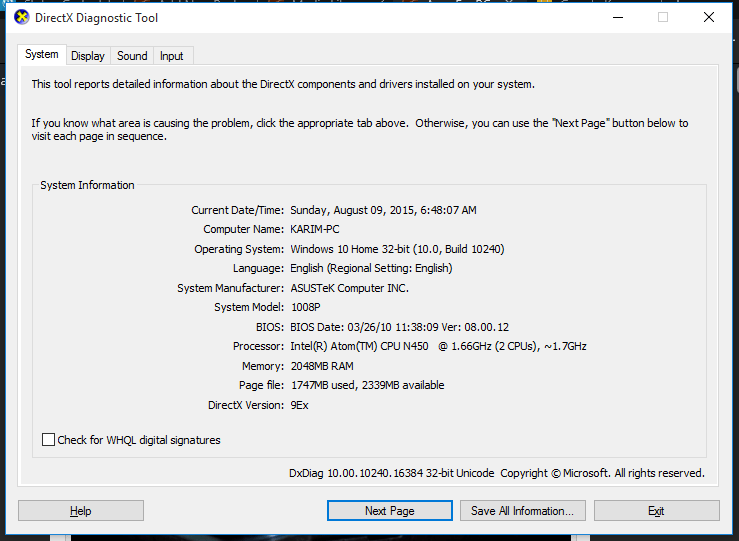 During this time, the video driver also was not working properly but when an update to the system had occurred – the driver issue simply went away (Intel GMA 3150). Problems with legacy programs often were solved by changing the compatibility in the application’s properties pre (installer executable) and post (program executable) install. Windows 10 is definitely delivering on its promise in a much better way than 8/8.1 ever did! With compatible minimum requirements and an upgradable license, switching to the latest Windows should be more than just a consideration – it provides aged hardware renewed purpose through an interface that is both familiar and very timely. I’m set on displaying this example to my students as reinforcement of a computing concept I keep telling them about – that one about the relationship between the tool and the user. This post and all images and post processing on them were completed using the very same platform. This 10-inch keyboard has pretty nice travel and response… now all it needs is a brand new battery to extend its use beyond the reach of an outlet.